Crews are working multiple crashes with injuries that were reported on Monday morning along MD-152 in the Fallston and Joppa areas. The first crash was reported at just before 8 a.m. at the intersection of Fallston Road at Rochelle Drive. A second crash was reported at just before 8:45 a.m. at Route 152 and Connolly Road. 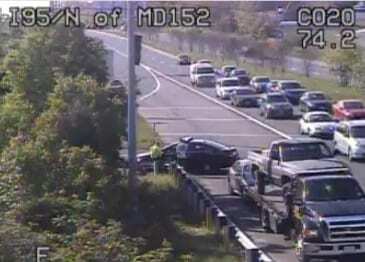 A third crash was reported at about 8:45 a.m. at Route 152 in the area of Interstate 95. Motorists should expect heavy delays along Route 152 this morning.